With over 25 years of customer service, sales and management experience in Hawaii, Sheryl Kochi utilizes this unique skill set to assist clients with their home sale or purchase and meet their individual real estate goals. 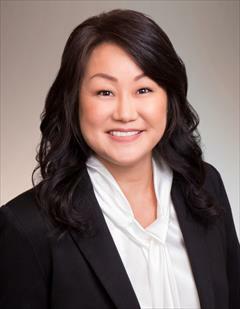 Born and raised on Oahu, Sheryl uses her invaluable knowledge of our island communities to provide exemplary real estate services and solutions for her clients. Sheryl is an integral part of the top producing and award-winning Adams Group and serves as both a Buyers & Sellers Specialist, assisting clients with their specific real estate needs. She thoroughly enjoys being out in the field and being hands-on with projects. She excels at multi-tasking which is a vital characteristic in searching for that perfect home or prepping a home for sale. To learn more about Sheryl Kochi and how she can assist you with the purchase or sale of your home, please contact her at 738-6555 or sherylk@betterhawaii.com.